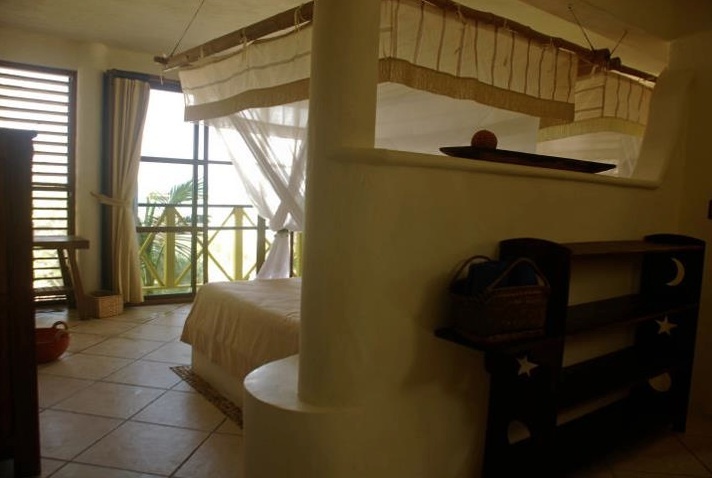 Located in the Mexican Riviera is a beautiful and exclusive complex of eco-archeological Bungalows built from exotic tropical woods and situated right on the beach facing the Mexican Caribbean Sea. 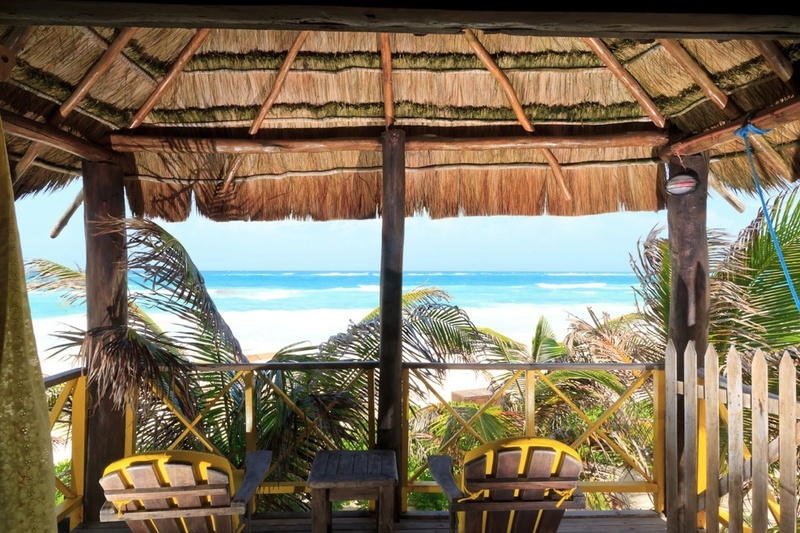 Superior facilities, grilled to perfection steak or fresh caught fish, natural reefs to explore in crystal blue waters, endless white beaches and tropical forests are just a small sample of the wonders to behold at Nueva Vida de Ramiro. 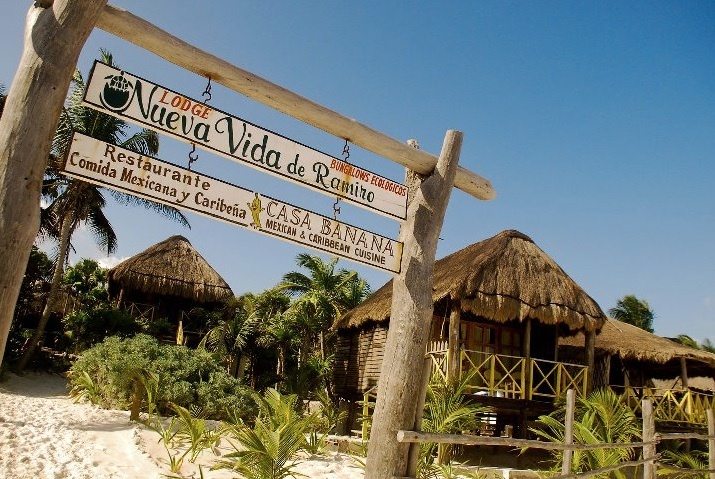 Hotel Nueva Vida de Ramiro is located on the secluded beach of Tulúm, five miles from the famous archeological site known world wide by the same name and one and a half miles from the entrance to the Sian Ka’an Biosphere Reserve. 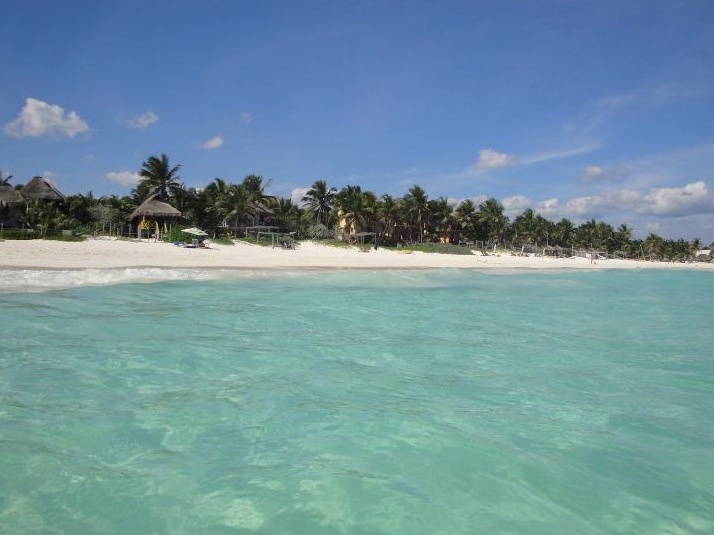 It is also 1,500 ft. away from the great Mesoamerican Reef, the second largest reef barrier in the world and only one and half hours south of the Cancún International Airport and 45 minutes from Playa del Carmen. 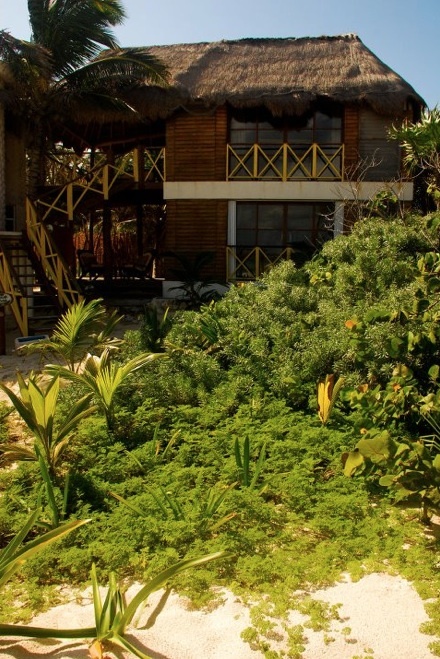 Hotel Nueva Vida de Ramiro is categorized as a Low Density Ecological Hotel. 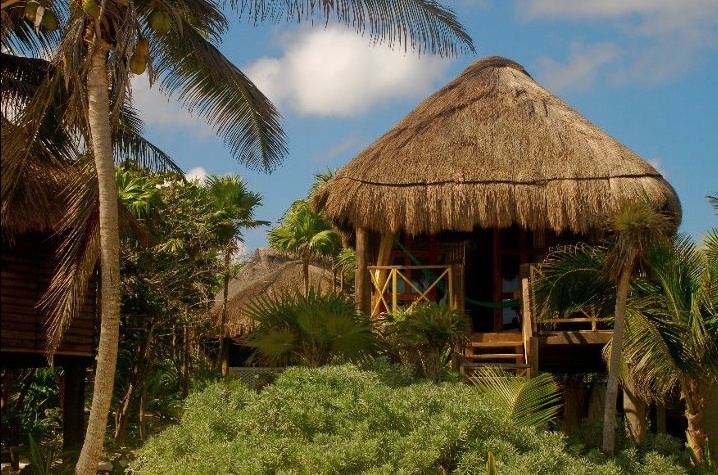 Its bungalows are done in fine wood on stilts with grass thatched roofs and surrounded by palm trees facing the Caribbean Sea. Privacy and intimacy are its most remarkable features. The hotel is powered by solar panels and wind generators which allow it to have electricity 24 hours a day. 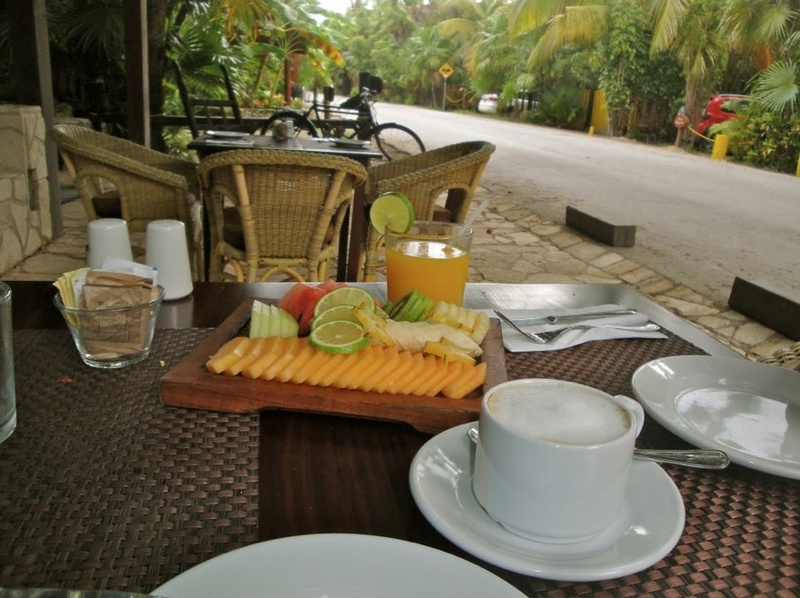 At Nueva Vida de Ramiro we understand the importance of today’s communication needs, this is why we just extended our WiFi net to all rooms and built outlets for charging electronic devices. Please note: the solar system doesn’t support devices with resistance such as hair dryer and iron. The hotel has a very carefully planned sewer treatment system that prevents environmental contamination. 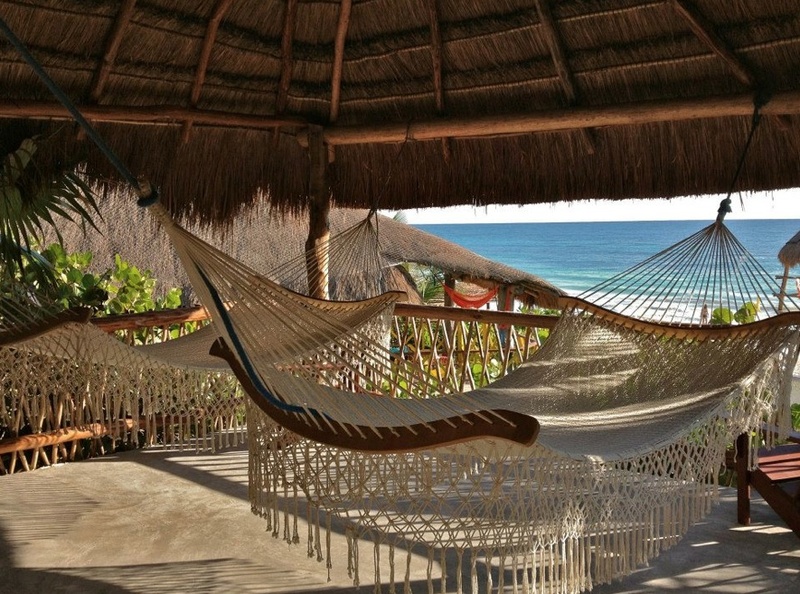 Silk hammocks hanging on the large spacious verandahs allow a deep relaxation as the sight and sounds of the ocean keep you company. 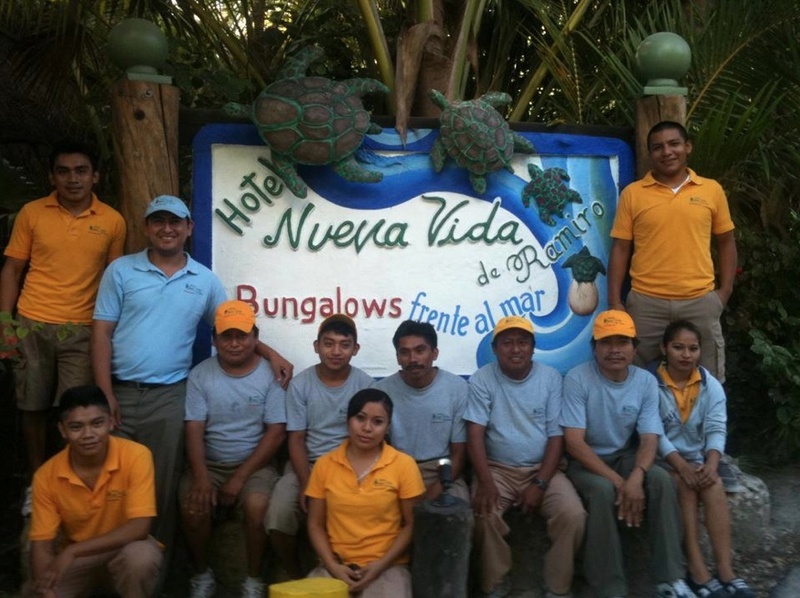 At Nueva Vida we have different types of accommodations in order to satisfy all needs and tastes. We have more information, images, rates and descriptions and more on our Rates & Description page. 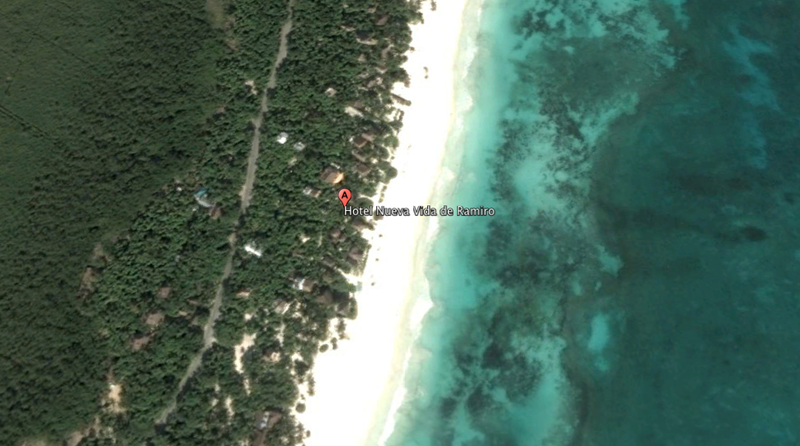 Our number one service is to offer “one of the most beautiful beaches in the world”, according to the Travel Channel, at the doorstep of our bungalows. Upon your arrival you will receive a booklet with information and costs of services offered. Massage and reflexology. 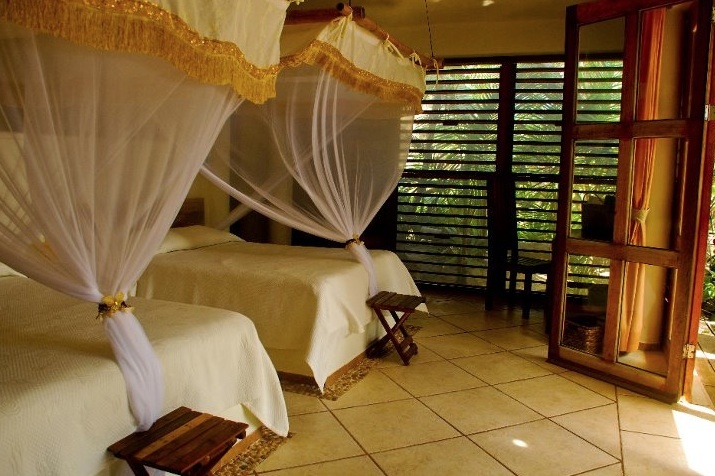 The loving hands of our therapist will complement the relaxation in this natural and sophisticated environment. You can book you preferred treatment at front desk. You will find that the open-air lobby is a great place to meet people, read, and play a variety of games. 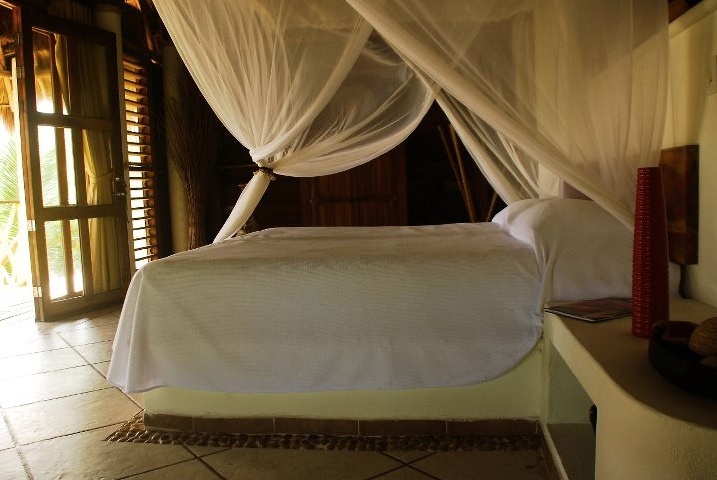 You will find a library of books left by past guests and information on local culture. The story you shouldn’t miss is the one about the Nueva Vida de Ramiro. 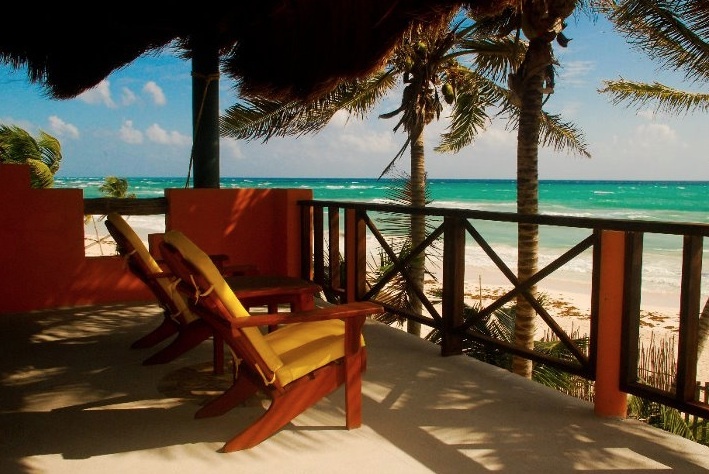 First time visitors may initially think the Riviera Maya is simply seductive beaches and enticing waters. Those are the obvious attractions when you first arrive. But this is just the beginning; there is more to see and do than most people ever imagine. Visit the ancestral cities of Tulum, Coba & Chichen-Itza, biggest ruins of the Mayan culture, one of the most brilliant civilizations the world has ever known. 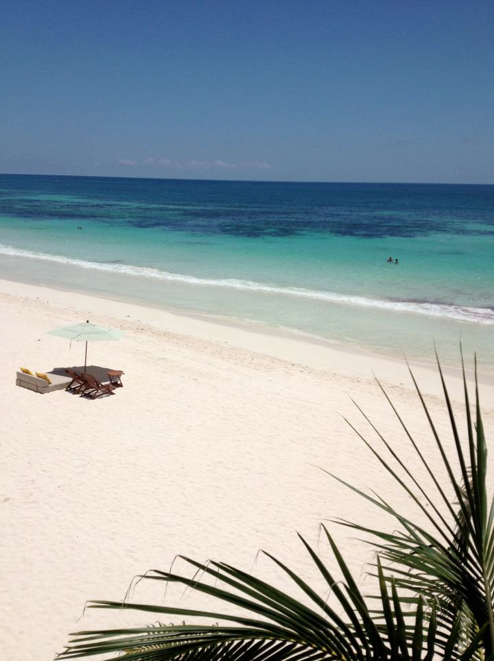 The Tulum ruins are 20 minutes away, Coba 45 minutes, and Chichen-Itza 2 hours. 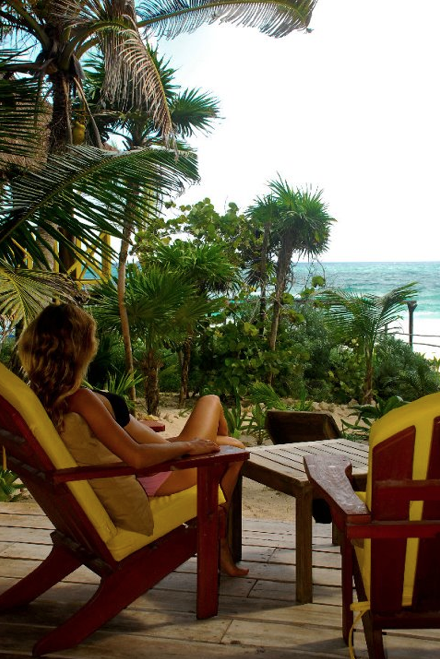 Be amazed by the Eco-Parks like Xel-Ha where you can enjoy aquariums, dolphins, gourmet restaurants, and much more. 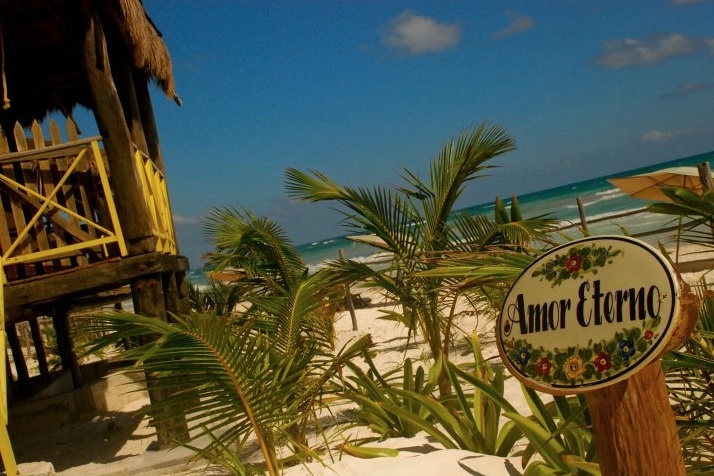 Xel-Ha is 25 minutes away and Xcaret 40 minutes. 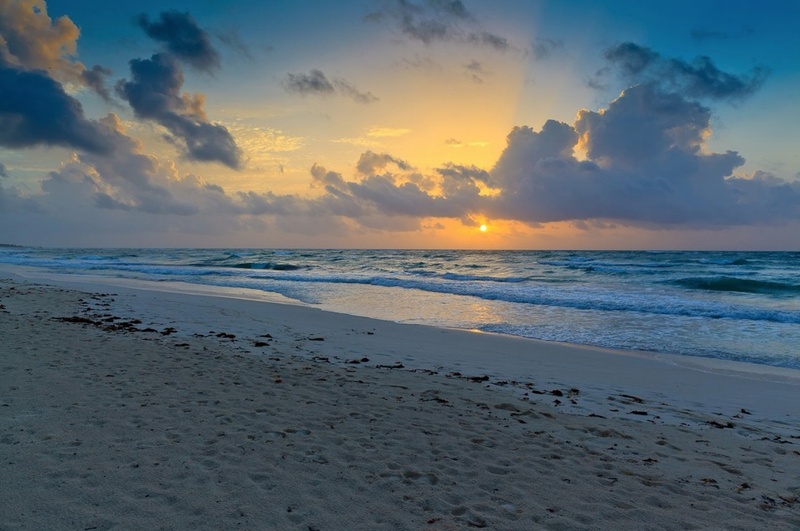 Explore the Sian Ka’an Biosphere Reserve, the biggest natural protected area in state of Quintana Roo and also the most important reserve in Mexico. 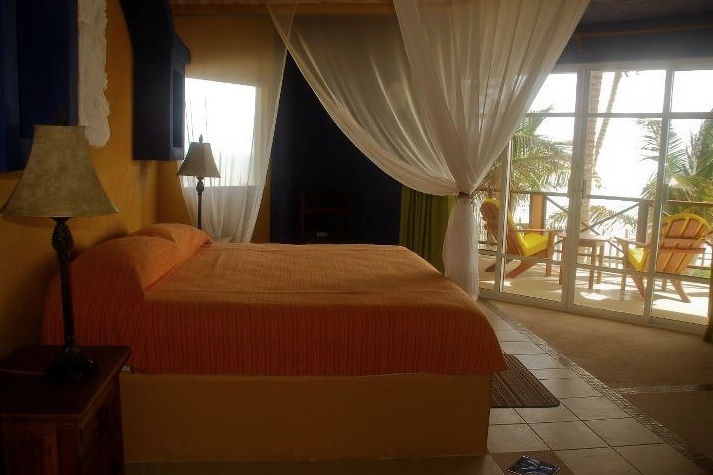 You will be able to observe the abundant flora and fauna as well as several distinct natural ecosystems. 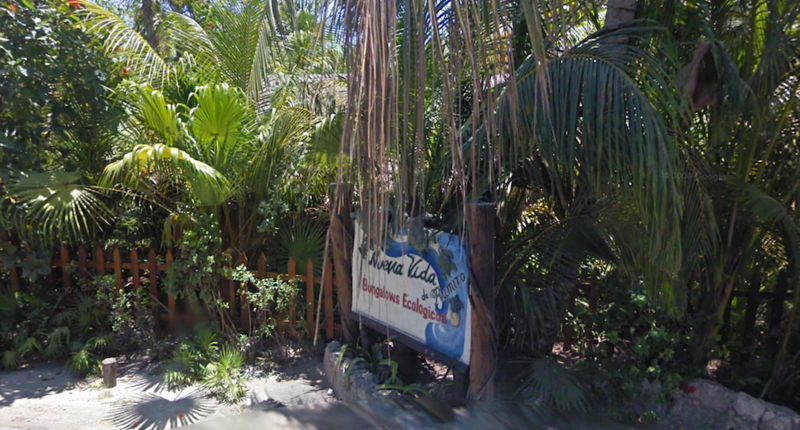 The entrance to the biosphere is 5 minutes away! Be one of the first people in the world to dive the recently discovered largest underwater caverns; a thousand Michelangelos working over the course of human history could not have produced anything more beautiful than these sculpted caverns which are 25 minutes away. 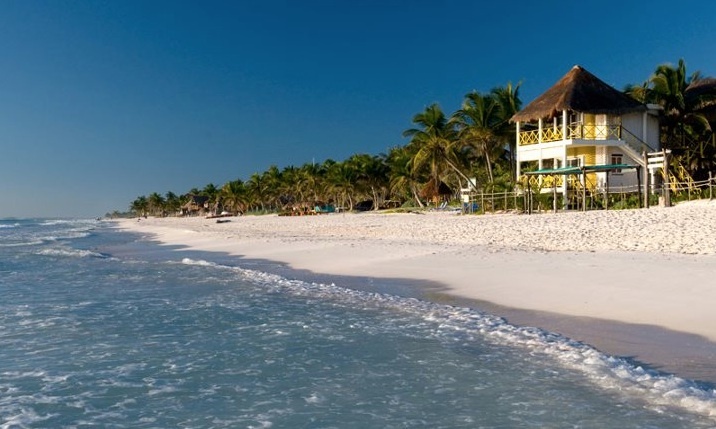 Also enjoy picturesque places like Playa del Carmen and Cozumel Island, scuba dive the second largest reef in the world, or maybe stay the whole day at Nueva Vida de Ramiro’s wonderful beach drinking a cool beer, margarita or piña colada.